There’s a story in the Hebrew Bible about twin brothers, Jacob and Esau. Jacob, the second-born, was slight of build and smooth of skin. His mother’s favorite, he preferred to stay at home by her side tending to domestic chores. Esau, the eldest, was his father’s favorite. A strapping, hairy man, he spent most of his time away from home hunting game. 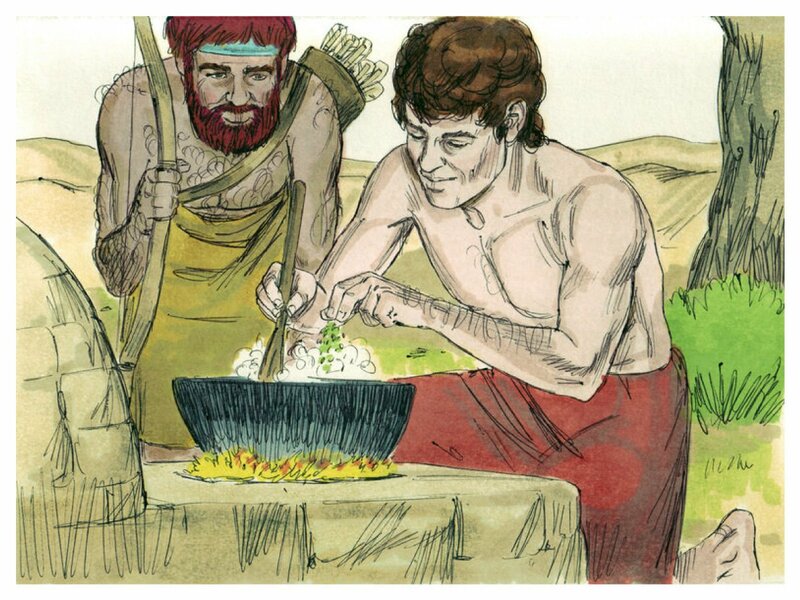 One day when Esau came in from a hunt, he found his brother Jacob busy making a delicious stew. Feeling famished, he asked his brother if he could have a bowl. Jacob agreed but on one condition: As the eldest son, custom dictated Esau would inherit everything that belonged to their father, Isaac. Jacob told Esau he could have a bowl of soup, but only in exchange for that birthright. Esau, too consumed with the short-term benefits of filling his belly, agreed. In the space of a minute, he’d traded his birthright for a bowl of soup, and Jacob became the one who would inherit their father’s riches. While this would not be the last time Jacob hoodwinked his brother out of what was his, the imbalanced nature of their transaction and Esau’s willing participation in it makes it all the more egregious. How could anyone be so foolish? Like with many stories told in holy books throughout the ages, this story is instructive beyond its context. Selling out one’s future for benefits right now wasn’t just unwise for Esau to do; it’s unwise for any one of us to do. Yet this type of transaction is commonplace. Remember the housing bubble that resulted in the near-collapse of the U.S. and world economies in 2008? It was the work of a handful of Esaus. Bernie Madoff was nothing more than an Esau scarfing down bowls of soup bought with other people’s piles of money. Love Canal? The Upper Big Branch mine explosion? 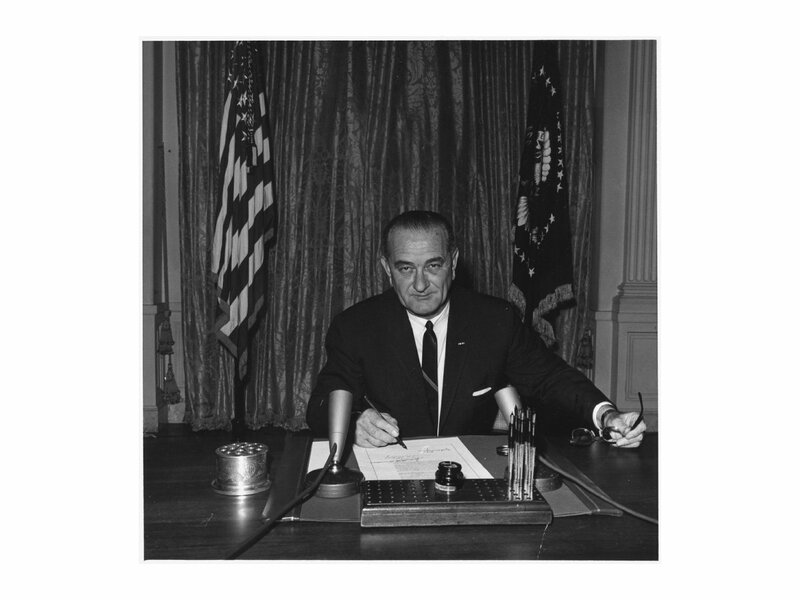 The Gulf of Tonkin incident? Bowls of hot, steaming, bad-deal stew. Like most industries, U.S. manufacturers have not been immune to this type of behavior. Outsourcing CNC machining to overseas suppliers did drastically cut costs in the near term, but it also enabled those markets to build up the necessary industry, infrastructure and knowledge base to become our competitors. While we lost whole portions of our Industrial Commons — and working middle class — to low labor overseas, countries like South Korea essentially transformed our cost-cutting outsourcing into R&D and investment. Samsung’s latest failings notwithstanding, the country punches convincingly above its weight in the computer, vehicle and electronics markets and has for quite some time. As powerful a productivity tool as automation has been, it has also wreaked decades of havoc. Yes, work is faster, more efficient and higher quality, but the resulting job loss has been deleterious. Millions of people have been affected and even more will be affected in coming days. While convincing arguments can be heard on all sides of the issue, the results are deceivingly plain. Automation has made it easier for manufacturing companies to make money and compete in a global environment. People’s ability to maintain employment has been negatively affected. One does not equal the other. The long and short of it is that eating stew while it’s hot and you’re hungry isn’t a bad thing. But if access to that stew is predicated on someone losing a future over it, it makes good business sense — not to mention good neighbor sense — to reconsider. Minding one’s bottom line now must be properly balanced with what happens to one’s bottom line later. If chasing the lowest price-per-part results in a weakened market due to extensive job and income loss, trading a fat bottom line today for a non-existent one tomorrow is obviously ill-advised. A balancing act of Dr. Who-like proportions, nowhere is the need to weigh today’s choices with efforts to conserve a future more pressing than in relation to manufacturing’s effects on the environment and vice versa. The world is at a crossroads, or, to hear Noam Chomsky and other curmudgeonly luminaries tell of it, we are already doomed. While the debate on whether or not climate change exists rages on here in the U.S.A., most of the world’s citizens, businesses, politicians and scientists have ceased their bellyaching. If we continue on our current path, it will disappear. As the new administration and its EPA roll back Obama-era regulations designed to curb greenhouse gases, many U.S. manufacturers find themselves in a pickle. While it’s hard not to feel giddy over the welcome prospect of fewer regulations, an increasing number of consumers — especially millennials — want to do business with companies embracing sustainable practices. In other words, the marketplace seems to have already decided the environment matters and no amount of changing the law is going to put that tree-hugging genie back in its bottle. So what’s a hungry hunter with a giant inheritance to do? We recommend you do as the market does. The business case for environmentalism has never been as strong as it is right now, and if the scientists are right, it will only get stronger with each passing day. Henry Ford’s opinion of the divide between what consumers want and what they could get is most famously summed up in his statement that a customer could have any color of car he wanted “so long as it is black.” We all know those times are long gone. Instead, manufacturers today get to compete against one another to court increasingly picky customers. The most successful companies in the world have gotten that way by giving the people what they want, not dictating what they can get. As study after study reveals, people want to feel good, i.e. morally good, about their purchasing decisions. Given the rising tide of concern over climate change around the world and in the U.S., for many consumers, making moral purchases means doing business with companies whose manufacturing, energy use, packaging, etc. isn’t making the situation any worse. Winning market share isn’t just about producing the best product. It’s also about how the best product is produced. Judging from the ongoing fallout in Volkswagen’s emissions-cheating scandal, it’s not enough to talk the talk or write software code that lies. For manufacturers to compete in a world afraid of climate change, pitching in is a new condition for sticking around. Besides the solid PR this decision to act more sustainably will generate for your company, there’s the added benefit of not experiencing negative PR over unsound environmental practices. Customers’ concerns are changing. Manufacturers practices and concerns must change, too. U.S. companies have long complained about the high corporate tax rate here in the land of the free. As the Trump administration seeks to turn its flagging attention to tax reform, it’s worth considering the cost of environmental harm to U.S. manufacturers’ companies, workers, communities and neighborhoods. It turns out that air pollution — one cause and effect of climate change — is expensive, both in terms of real dollars and in terms of real health. According to the Washington Post, the cost of the annual damage incurred is well over $100 billion annually. The silver lining? Expansion of renewable energy and efforts to reduce emissions are actually putting a dent in that number. 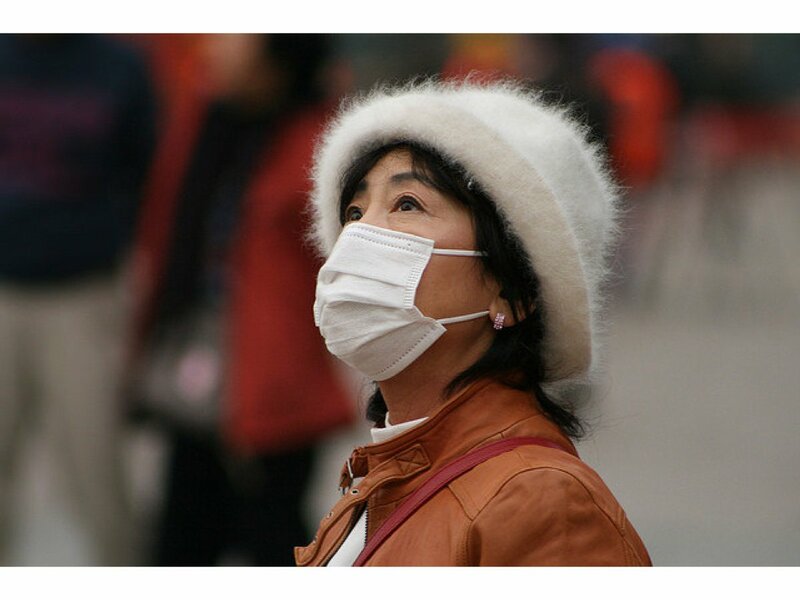 The costs associated with air pollution in 2002 were $175 billion. In 2011, they were $131 billion. Where does that leave U.S. manufacturing? Potentially holding the bag. Lowering the corporate tax rate will do little to improve profit margins if other costs — like healthcare, health insurance, worker training, absenteeism, presenteeism, etc. — aren’t kept in check or reduced. One simple way to keep those other costs from worsening is to make a decision to lower emissions and reduce your organization’s carbon footprint. Will this choice cut costs and improve your margin today? Probably not. Will this choice cut costs and improve your margin long-term? Absolutely. Whether you manufacture CNC machines, toys for children, robots, stereos or medical devices, you need a productive workforce. One of the fastest and most reliable ways to increase productivity is to adopt environmentally positive decisions. A recent study out of UCLA shows employees at organizations that undertake initiatives to be “greener” are 16% more productive than employees who work for companies with more conventional practices. In addition to doing your part to lower actual costs associated with a world polluted and warming, then, your workforce will be more productive — a clear and obvious path to improving profit margins. The reasons to go green to make green, however, just get stronger. How does your company procure its parts? If you’re like a lot of manufacturers in the U.S. you get electronic components from Taiwan, CNC machined parts from China and 3D prototypes from Florida. That supply chain winding near and far is probably assumed to be the most cost-effective, but is it really? Once you factor in time lost to sourcing quotes from afar, shipping, quality issues, logistical nightmares and the real (and fluctuating) cost of fuel, doing business with suppliers halfway around the world — and paying a small village to manage it — isn’t very often cheaper than sourcing everything you need right here. Add to your real total landed cost the fact that pulling your supply chain back home will drastically reduce emissions and greenhouse gases, and a win-win begins to emerge. Consumers and reporters also love a good reshoring story. Not only will you save time and money and reduce pollution and its harmful effects, but as I mentioned earlier, you’ll have a positive PR story to roll out. Your efforts to do planetary good will drive customer and employee engagement, benefitting your brand and bottom line now and over time. Finally, one of the most pressing results of a warming planet is social upheaval on a massive scale. From the devastating civil war in Syria and its resultant refugee crisis to the increasing requests from islanders fleeing flooding, climate change is making the world less and less stable. The tensions resulting from melting polar ice, dying coral reefs, rampant drought, out-of-season flooding and extreme weather have been increasing now for some time. Only by acting swiftly and decisively can we hope to curb — or slow — them at all. U.S. manufacturers face a choice: eat now a badly bargained-for stew with relish and gusto or hold off, eat a little less and survive and thrive into the future with the rest of the world’s citizens and species intact. Unstable societies are bad for business. Just ask GM how operations in Venezuela are going. We have enough reliable and widespread data to see how trading our collective and individual birthrights for the bowl of stew that is a willy-nilly, cut-costs-now approach to greenhouse gases is foolish. For the good of your company, for the good of your grandchildren, for the good of the country, for the good of the world: Take the business case for making environmentally conscious manufacturing decisions seriously. No bowl of soup is a worthy stand-in for the future. 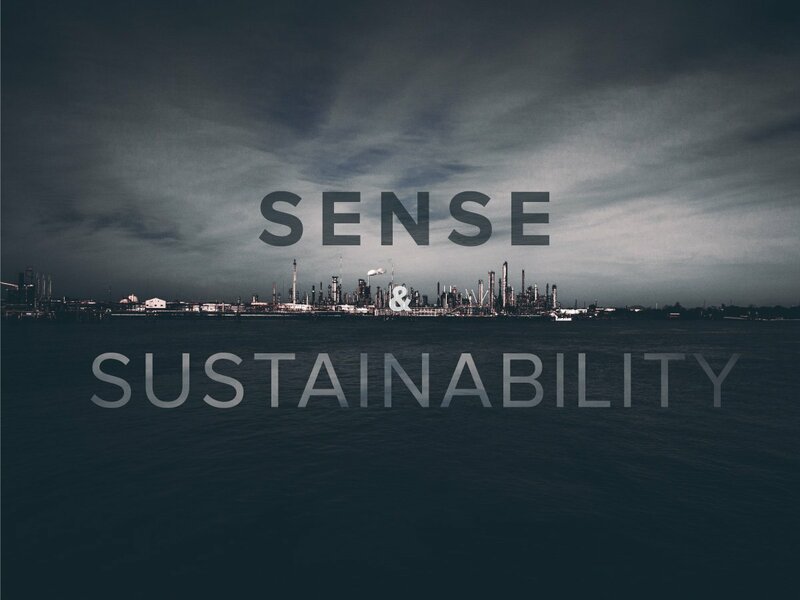 To find out how MakeTime can help you reshore your CNC machining procurement and lower your carbon footprint, click here.